The Secondary School Certificate(SSC) exams started on the 3rd February and ended in March 14 on this year. In 10 different boards including madrasah and technical board, around total 16 lakhs and 51 thousands students took part in this years SSC exam. The exams were held in 3,143 centers across the country. It is expected that SSC Result 2016 will be published in May 10 or May 11, 2016. SSC result 2016 will be published first on education board’s website and then all educational institutes will be able to publish their results. Last year SSC exam was ended on 3rd April and result was published on 30th May, just after about 50 days. 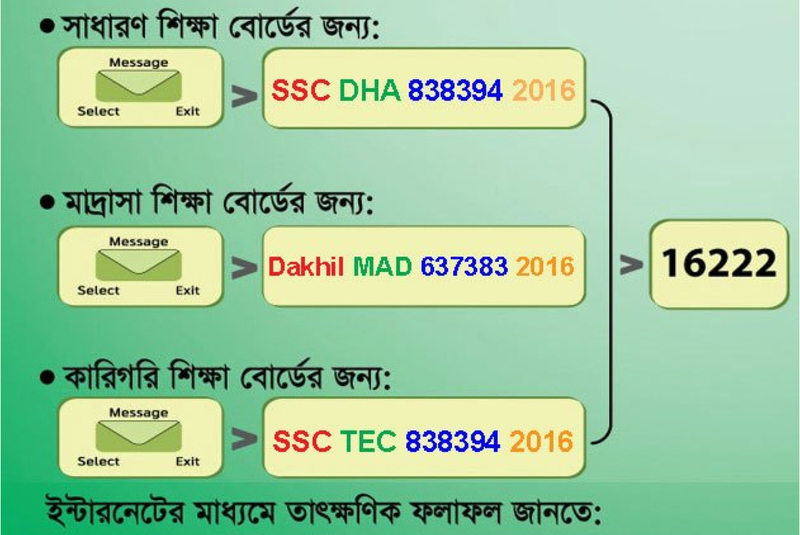 How to get SSC Result 2016? Or You could visit http://www.educationboardresults.gov.bd and select your Board, Year and type roll to get your result.